Training has continued for the first team at the Ciutat Esportiva Joan Gamper. 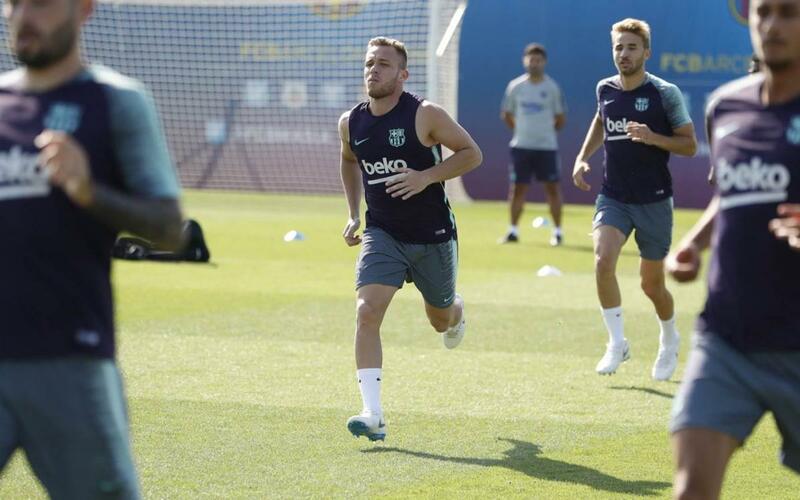 Under stifling July heat, the players worked out on pitch number 7 at the Barça training ground as they continue to get in tune for the 2018-19 season. But on Wednesday and Friday the players will train first bright and early at 9.30am CET and will be due back for more of the same at 6.30pm CET. With the players that featured at the World Cup still having a well-earned break, Ernesto Valverde boosted the numbers today by drafting in seven members of the reserve team squad: Mate, Jorge Cuenca, Chumi, Miranda, Collado, Carles Pérez and Rafa Mujica.